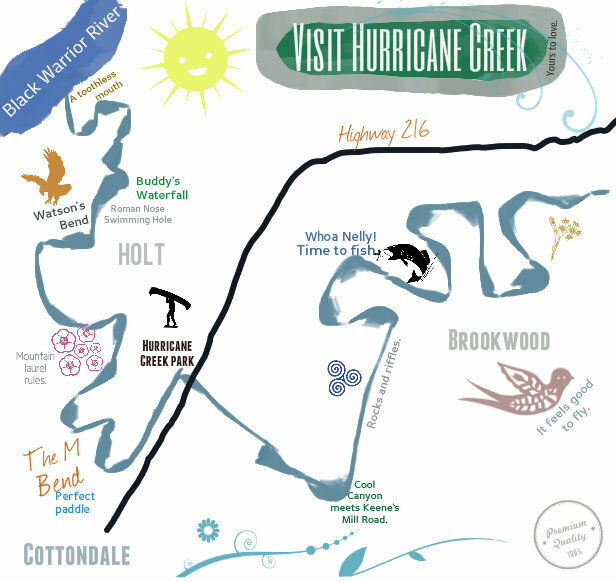 IS HURRICANE CREEK PARK A "PARK"? This is one of the questions that will be addressed in the forthcoming ALDOT Reevaluation of the 1998 Environmental Impact Statement. FOHC has tried to create a brief comparison of evidence for both sides of the argument so we can learn more about how the park (or "not park") figures into the Eastern Bypass planning process. PARA lists it as a park on its foundation and donation webpage. As of March 18, 2012, Hurricane Creek Park is listed as a "park owned by PARA" on the PARA website. Black Warrior Riverkeeper describes the sale of this land to PARA for the creation of a 250-acre nature reserve and park in 2008 newsletter. PARA considers it a park and recreation facility in 2009 Annual Report. The Trust for Public Land made its purchase and deed with the understanding that the M-Bend would be a public park. The sign which reads "Hurricane Creek Park" right off Hwy 216 names the area as Hurricane Creek Park. When you call the PARA Park Ranger, he includes Hurricane Creek Park as among his parks and work sites. IT IS NOT A PARK. ALDOT refuses to grant a permit to PARA or FOHC for the creation of a parking lot for the M-Bend Park. It can't be a park without a parking lot. PARA does not list M-Bend under parks in its 2010 Annual Report. The current route for the Eastern Bypass bisects the creek at several locations. This route would not be likely to receive funding under the FHWA's 4(f) rules for parks, so it must not be a park. The M-Bend Area is a nature preserve, not a park. It was purchased by the Freshwater Land Trust as a nature preserve, and PARA intends to keep it as a nature preserve as well. 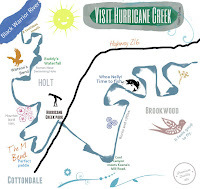 The fact that PARA documents refer to Hurricane Creek Park as "the M-Bend area" rather than Hurricane Creek Park means that it is not a park. Instead, the M-Bend area is something that looks like a park, has rangers like a park, has a park sign, has park rules, has public visitors, has trash receptacles. We are hoping that the confusion is a sign that Hurricane Creek Park is a park in the process of becoming a better park.